Thousands of years of Buddhist, Hindu, Muslim and Christian heritage can be found in temples great and small that dot this small and devoutly spiritual island. 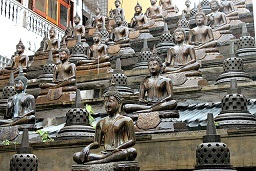 The big daddy of all Sri Lankan temples is Kandy’s Temple of the Tooth, said to contain a tooth belonging to none other than the Buddha himself, but even the smallest of village temples can offer up beautiful artistic beauty carved by artisans centuries ago – as well as a fascinating insight into Sri Lankan religious culture. 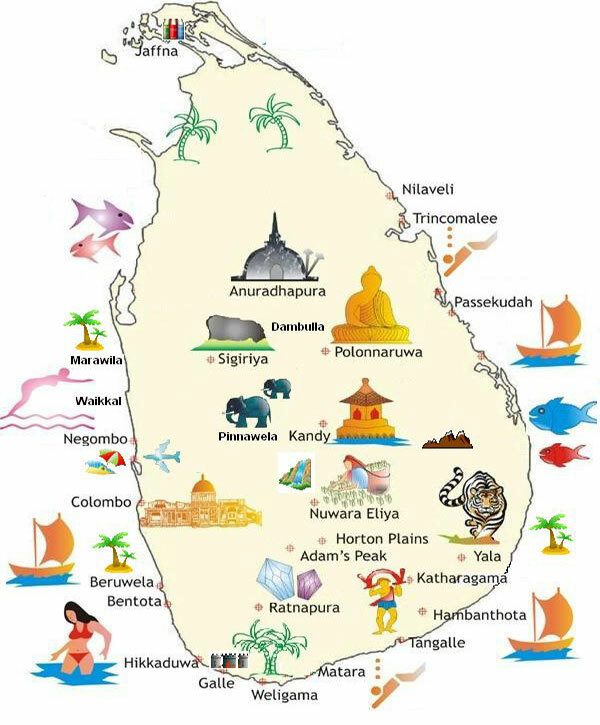 Some of the larger temples play host to important festivals and timing your visit to coincide with one is likely to be a highlight of a Sri Lankan journey. Run by one of Sri Lanka’s more politically adept monks, Galboda Gnanissara Thera, this bustling temple complex has a library, a museum and an extraordinarily eclectic array of bejewelled and gilded gifts presented by devotees and well-wishers over the years (plus one lonely and chained temple elephant named Ganga). 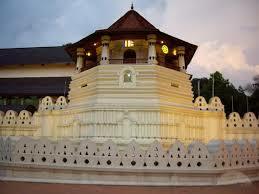 Gangaramaya is the focus of the Navam Perahera on the February poya (full-moon) day each year. This is the centre for the most extravagant Vesak celebrations in Colombo. Just north of the lake, the golden-roofed Temple of the Sacred Tooth houses Sri Lanka’s most important Buddhist relic – a tooth of the Buddha. During puja (offerings or prayers), the heavily guarded room housing the tooth is open to devotees and tourists. However, you don’t actually see the tooth. It’s kept in a gold casket shaped like a dagoba (stupa), which contains a series of six dagoba caskets of diminishing size. 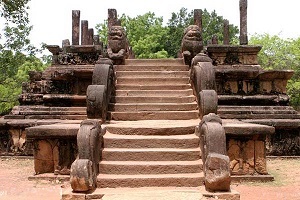 The entire temple complex covers a large area and as well as the main shrine there are numerous other temples and museums within the complex. The following are some of the key sites. Behind the shrine stands the three-storey Alut Maligawa, a newer and larger shrine hall displaying dozens of sitting Buddhas donated by Thai devotees. The design resembles a Thai Buddhist shrine hall in tribute to the fact that Thai monks re-established Sri Lanka’s ordination lineage during the reign of King Kirti Sri Rajasinha. The upper two floors of the Alut Maligawa contain the Sri Dalada Museum , with a stunning array of gilded gifts to the temple. Letters and diary entries from the British time reveal the colonisers’ surprisingly respectful attitude to the tooth relic. More recent photographs reveal the damage caused by a truck bomb set off by the LTTE in 1998 that destroyed large parts of the temple. 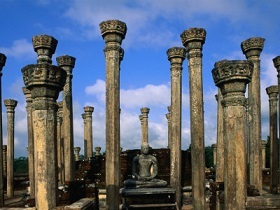 To the north inside the compound, and accessible only via the Temple of the Sacred Tooth Relic, is the 19th-century Audience Hall, an open-air pavilion with stone columns carved to look like wooden pillars. 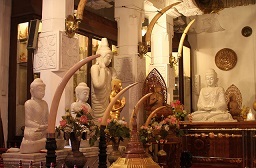 Adjacent in the Rajah Tusker Hall are the stuffed remains of Rajah, the Maligawa tusker who died in 1988. Just behind the main temple, but still inside the complex, is the World Buddhism Museum. Housed inside the former High Court buildings, the museum contains lots of photographs, models and displays illustrating Buddhism around the world. Note that a large number of the statues and other exhibits are actually reproductions. 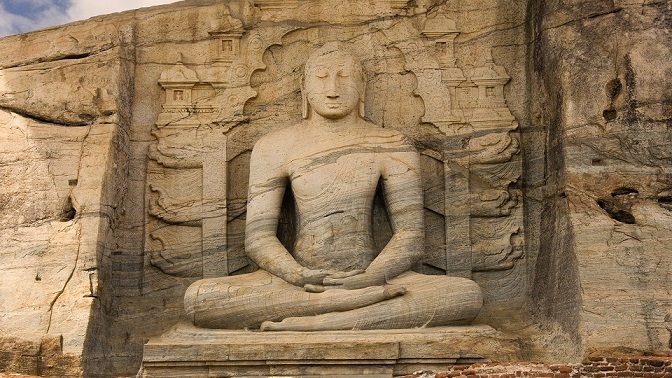 While it’s not quite as grandiose as Burma’s Bagan or as mysterious as Cambodia’s Angkor Wat, the ruins of Anuradhapura remain one of South Asia’s most electrifying sights. Between the 76km and 77km markers on the road from Vavuniya To Mannar is a large military camp and a big, colourful gateway. 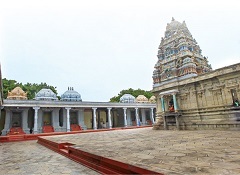 ID checks are still required here to pass through the latter on a side road that leads 5km north to Thirukketeeswaram Kovil. This church is Sri Lanka’s most hallowed Christian shrine. 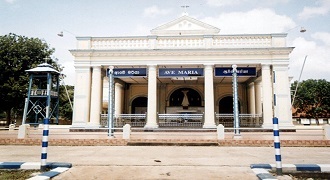 Its walls shelter Our Lady of Madhu, a diminutive but revered Madonna-and-child statue brought here in 1670 by Catholics fleeing Protestant Dutch persecution in Mannar. 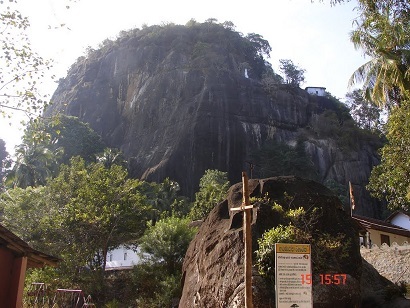 Dangling off a rocky crag 16km northwest of Tangalla and nestled away among a green forest of coconut trees are the peaceful rock temples of Mulkirigala. Clamber in a sweat up the many steps and you’ll encounter a series of seven cleft-like caves on five different terraced levels. 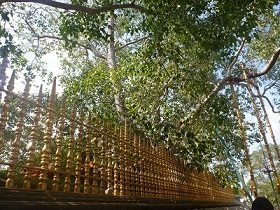 The sacred bodhi tree is central to Anuradhapura in both a spiritual and physical sense. It was grown from a cutting brought from Bodhgaya in India and is said to be the oldest historically authenticated tree in the world; tended by an uninterrupted succession of guardians for over 2000 years, even during the periods of Indian occupation.